As if our public lands haven’t faced enough hardship, the U.S. Forest Service is proposing to revise its rules for hardrock mining (mining of minerals such as uranium ore) to speed up the review process that determines whether or not proposed mining operations are allowed to move forward. This comes in response to executive orders issued by the Trump administration generally aimed at advancing mineral extraction, and could have serious implications for mining claims in national forests throughout the Colorado Plateau, including lands in the Bears Ears region. The idea of making it easier for mining companies to set up shop on public lands is concerning, but the proposed rule change is also an opportunity to improve mining regulations in ways that could be beneficial to your public lands. The Grand Canyon Trust and our partners will submit comments to the Forest Service regarding the proposed rule change, and we encourage you to do the same. The Forest Service wants to give itself authority to require mines to modify their plans of operations based on what is currently happening on the ground. Plans of operations are how the government regulates hardrock mining on public lands. 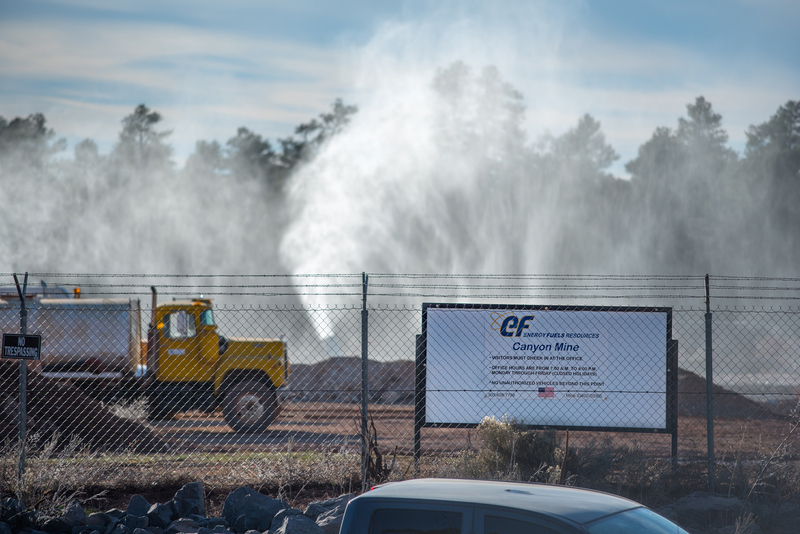 Current rules make modifications difficult to require, and have allowed mines such as Canyon Mine, a uranium mine located on the Kaibab National Forest, near Grand Canyon National Park, to restart operations after decades of inactivity. Canyon Mine's plan of operations has not been updated since 1984. Another proposed rule change aims to clarify classifications of mining operations that determine whether or not a mining company must notify officials or submit a plan of operations for what it intends to do to your public lands. While adopting Bureau of Land Management (BLM) language could be a step in the right direction, the Forest Service should require a plan of operations for all mining activities beyond "casual use" (uses with little impact, such as collecting specimens with hand tools). The Forest Service also wants to clarify what happens when mine operators don’t follow the rules. Enabling the agency to impose higher fines and/or more jail time for those caught in noncompliance is a good start, but the Forest Service should pursue even more aggressive enforcement mechanisms to incentivize compliance. For example, it could choose not to put a cap on jail time or fines, and could require that penalties cover all costs to investigate and remediate all resources affected by operator negligence. The costs of mine cleanup have too often rested on the shoulders of taxpayers, rather than the mine operators who made the mess in the first place. Financial guarantees (called “surety bonds”) are a safety net for cleanup if operators walk away, but cleanup costs change with time, inflation happens, and contamination can be worse than anticipated. Currently, bonds are not required to be updated to guarantee coverage that reflects these changes, except when plans of operations are formally modified. This could change for the better, as the Forest Service wants to require periodic reviews of surety bonds to ensure funds will cover the present-day cost of cleanup. Uranium mining claims in and around the Northern Arizona Mineral Withdrawal area. This mining ban was recently upheld by the U.S. Supreme Court. When a mining ban is established, the Forest Service is supposed to assess whether a mine or claim can be grandfathered in and allowed to move forward under the ban. This is called a “validity exam.” But the Forest Service is proposing to follow the BLM’s rules, and the BLM takes the view that these assessments are not required to grandfather in mines that have been approved before a ban is put in place. Instead of adopting the BLM rules, the Forest Service should require assessments for all mining claims and operations within the boundaries of a mining ban, whether or not operations were previously approved. In general, the Forest Service should be careful not to merely allow shortcuts for mining operators and companies with these proposed rule changes. However, many of these changes could rectify antiquated regulations that fail to take present-day circumstances into account. Help us urge the Forest Service to take these changes in the right direction. Update mining plans regularly. The Forest Service’s proposal to require updated mining plans is past due. Actions are needed to protect national forests based on present-day circumstances and up-to-date science. Increase fines and penalties for negligence. Amplifying Forest Service authority against negligent operators should include more aggressive enforcement rules, beyond those of the BLM, to further incentivize compliance and protect resources. Mining companies, not taxpayers, need to put aside enough money for cleanup. Requiring periodic reviews of financial guarantees is important. A funding mechanism should also be established to guarantee proper funds. Require validity exams for all mining operations. The Forest Service should require validity exams for all mining operations, even in proposed ban areas, and certainly for all mining operations in areas of established mining bans, whether or not the operations were previously approved. No! No! No! No! No! No! No! No! Don't do it!! !